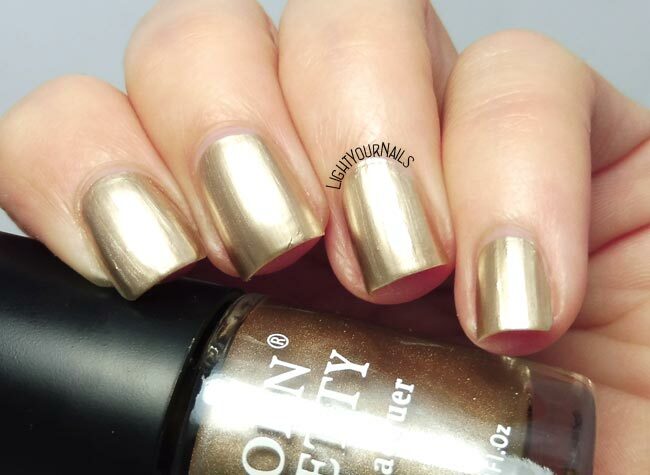 Bornpretty Metallic B503 Dragon Knight | Light Your Nails! Today I’m showing you Bornpretty Metallic B503 Dragon Knight* nail polish, that comes from their Metallic nail polish series. Bornpretty Metallic B503 Dragon Knight is one of those mirror-like effect, similar to Essie’s Chrome or Kiko’s Mirror Effect back from some years ago. And this nail polish is actually very similar to those Kikos. Application is never easy when it comes to this finish. Each new coats drags the one underneath. You gotta be quick and precise, or either use an aqua base or a peel-off base. Also, these nail polishes will enhance all the big and small flaws on your nail surface. You should lightly buff your nails before doing your manicure. On the good news though, coverage is great. The colour is opaque at first coat already. Personally, I used a latex based peel-off base coat and I didn’t buff my nails. This way you can see the flaws I am talking about. There’s a big crack on my index corner and a smaller one on my middle finger nail. Photos: one coat, no top coat. It’s not bad if you like the mirror effect. And for sure it’s not the worst I’ve ever tried. Honestly I use this kind of polishes for stamping purpose only, so I’ll let you know if this one actually works for that. How do you like the so called mirror effect on your nails? Con alcuni stamper funziona alla grande, con altri no... non capisco perchè! Not my kind of nail polish but I have to admit it looks good on you and I would definitely use it for stamping! It stamps if I use my old classic squishy stamper, but I can't get it to stamp with my clear ones. I really want to grab some of these - I love the metallic effect! Io non so mai con cosa abbinarli questi smalti! I like it a lot! I especially love matte stamping over it. That way, the flaws don't show up. I'm very interested in whether these stamp or not; the ones from BeautyBigBang (that are also promoted by BPS through Wish) did not stamp, sadly... My stamper refused to pick them up..
My old white squishy stamper picks it up and stamps perfectly. I couldn't make it work with any of my clear stampers though. I can definitely see how this would be perfect for stamping! I only can't understand why it only works with my regular stamper! Ricordo che quando uscirono gli effetto mirror di kiko mi piacquero molto e ne presi due o tre colori, poi però il mio entusiasmo è passato e sono segregati nei cassetti degli smalti..non li ho più messi.. Buona l'idea si usarli per lo stamping! Bello l'effetto di questo smalto ed è ottimo anche perche basta una passata! Usali Emanuela perchè funzionano benissimo!